Here on MakeTank we love when design meets recycling, giving new life to components otherwise wasted and, at the same time, creating a new viable business for a single designer or a small company. That's why we like Fantasized, a project by the belgian product designer Sep Verboom which shows how a bit of creativity can have a big impact on a local community. Fantasized was born when Sep Verboom met environmentalist and politician Nida Cabrera, who works for the legislative department of Cebu City, one of the biggest metropolitan areas of the Philippines. Cebu City lived a strong economic development in the Nineties and it's still one for the most important economic centers of the country, but it also faces big pollution problems. Its landfills receive tons of unsorted waste every day and Nida Cabrera is involved in Cebu City recycling programs, so she asked Sep Verboom to develop a product to be manufactured using materials taken from the waste of barangay (district) Luz. 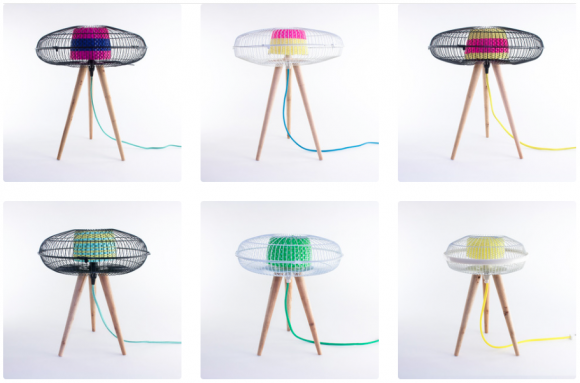 The result is a collection of table lamps and suspended lamps: the Fan Lamps. 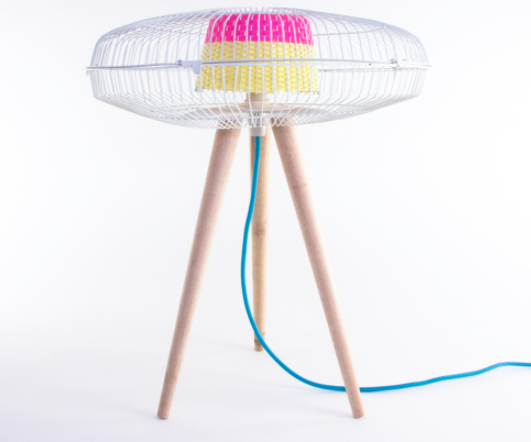 The shade of a Fan Lamp is made weaving plastic multicoloured strips around the central part of a fan housing. Recycled fan housings are common in Cebu City: they're taken from broken fans and sold by local scrap merchants to be used in many different ways. Housings for Fan Lamps are bought directly from the same scrap vendors, so their business is unaffected (and even stimulated) by the new recycling project. The plastic strips used to hand-weave the shade are waste materials too, produced by a local factory that makes woven chairs. The Stand version of Fan Lamps uses also three hand-made mahogany "feet". Fan Lamps are sold online at this link and are a long-lasting project, a little but sustainabile ecomony helping Luz district residents. As Sep Verboom writes, "Fantasized will not solve all the problems in the world, but it shows that we need to cooperate, inspire and be creative".